Marshmallows can predict your future. 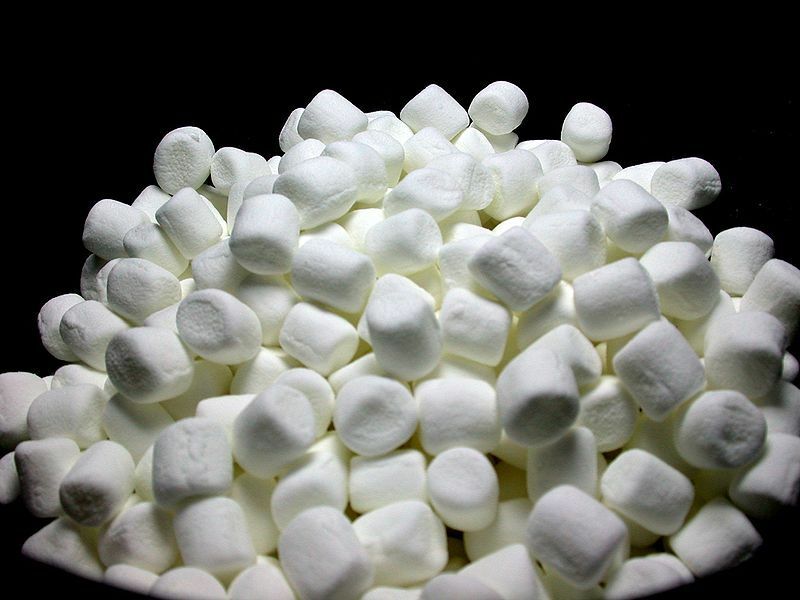 In the 1960s, there was an experiment with marshmallows. Children at the nursery school on Stanford’s campus were placed at a table and had the option of having one marshmallow now -- or getting two marshmallows if they waited 15 minutes while the researcher left the room. Children used many tactics to distract themselves while waiting, like kicking the floor, pulling their braids, and covering their eyes. Only about 30 percent of the children could hold out long enough to get the reward. But more importantly, it was found that those who could resist the marshmallows as preschoolers performed better in school later in life. Researchers found that self-regulation was a better predictor to success than IQ. Self-regulation is needed for emotional and cognitive development. It helps children respond to stress and challenges. And life has a lot of waiting. Waiting happens at dentists' offices, on lines at Disney, and anything relating to the department of motor vehicles. We cannot rush seeds to grow, babies to be born, bread to rise and caterpillars to turn into butterflies. If you want ketchup from the bottle, there will be lots of anticipation. These are things we cannot speed up. Yet our technologies spoil us. We get everything fast. We eat fast food, get fast downloads and text instant messages. We don't like to wait, and life is good. The data says that children on both ends of the socioeconomic spectrum are not developing character-building skills. The "haves" are protecting their children from adversity so that they never build a relationship with failure or disappointment. And while the "have-nots" are bombarded with so many "character-building opportunities," there is little coaching and guidance to help them convert tragedy into triumph. Additionally, the report in the Times says, being overstressed prevents children from being focused or alert, which are the ideal modes for learning. The character-building process is interrupted by stress, hunger, environment or the caregiver's inadequate responses. And that creates problems for the child at school, for the schools and, ultimately, for all of us. The good news is that these skills of self-regulation can be taught and learned. They are not genetic traits. For younger children, the games Simon Says and 1-2-3 Red-Light are great ways to gain self-regulation skills. Self-regulation improves attention, motor control and control of impulses.3 As I note in my book, Save Our Science, STEM education is also a great way to teach children patience. Experiments don’t happen quickly, and they cannot be hurried. Growing rock candy takes time, but it is so worth it. So sit and wait, and reap the benefits of being patient. Be the tortoise, not the hare. Good things come to those who wait. 1Shanker, Stuart. "Self-Regulation: Calm, Alert, and Learning." Education Canada 50, no. 3 (2010): 4-7. 2Paul, Annie Murphy. "School of Hard Knocks: ‘How Children Succeed,’ by Paul Tough." New York Times, August 23, 2012. 3Mitchell, Alanna. "Part 3: How a Marshmallow Can Predict Your Future." Toronto Star, November 2, 2009. 4Casey, B. J., Leah H. Somerville, Ian H. Gotlib, Ozlem Ayduk, Nicholas T. Franklin, Mary K. Askren, John Jonides, et al. "Behavioral and Neural Correlates of Delay of Gratification 40 Years Later." Proceedings of the National Academy of Sciences 108, no. 36 (September 6, 2011): 14998-5003.